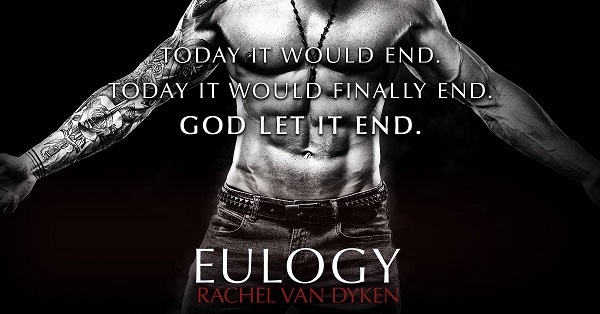 Eulogy is a stand alone mafia romance with dark themes, alpha males, violence, and enough humor woven in to make it so you don't want to hunt the author down when you finish. It is linked to the Eagle Elite series, any book can be read out of order, but will contain spoilers if you choose to take that path. Enjoy, blood in no out! I have no idea how Rachel Van Dyken does it, but I feel like every time I review one of her books I start it out the same way – this was my favorite book of the year, possibly of all time, it’s AH-mazing. I don’t know what I’m going to do when this series ends, I just need it to go on forever! This can be read as a standalone, but don’t do that – go back and read them all from the beginning, you’ll thank me later! We’ve seen a lot of Chase in previous books as he battled with accepting that Mil wasn’t who he’d always thought she was. Now, she’s dead and Chase is an absolute wreck (I’m going to compare his reactions to the Salvatore brother in VD when their humanity switches are flipped). His friends have done everything they can, but they can’t get the Chase they know and love back – he’s gone and in his place is a killing machine. Luciana is a lawyer who is in over her head with a boss whom she is afraid to defy – especially when he tells her she’s hired as the new “family lawyer.” Luciana is sent to live with Chase, only no one has told Chase and he isn’t exactly receptive to her arrival. I just can’t applaud Rachel Van Dyken enough on the emotional rollercoaster she sends you on with this book. I feel like I hit rock bottom with Chase and then rode with him when Luciana is there to pick up the pieces. I literally couldn’t put this book down – I called in sick to work just so I could stay home and read it all in one day… shh! I’m already highly anticipating the next book from Rachel Van Dyken. I have not read the previous books in this series and will admit that I had a tougher time than I think I would have if I had read the previous books. This was a powerful story about revenge, grief, family, love, and forgiveness. The writing style was somewhat strange to get used to, but once you get in to the rhythm of the writing, it doesn't seem so choppy. We watch as a family is forced to decide how to handle the betrayal from within, as well as the outside forces wanting to take over too. You have so many different characters vying for their own families, all while trying to figure out how to save the family they are all loyal to. I really liked this story. It was gritty, had a great love story wrapped in the mystery of more family secrets. 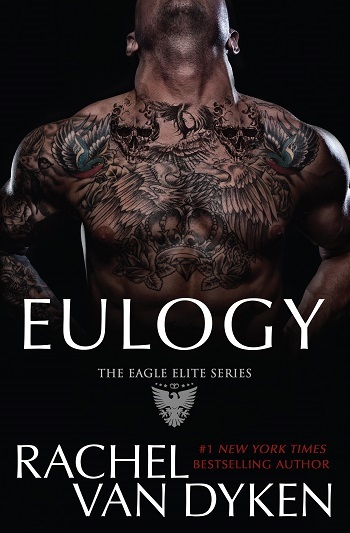 Reviewers on the Wicked Reads Review Team were provided a free copy of Eulogy (Eagle Elite #9) by Rachel Van Dyken to read and review for this tour.